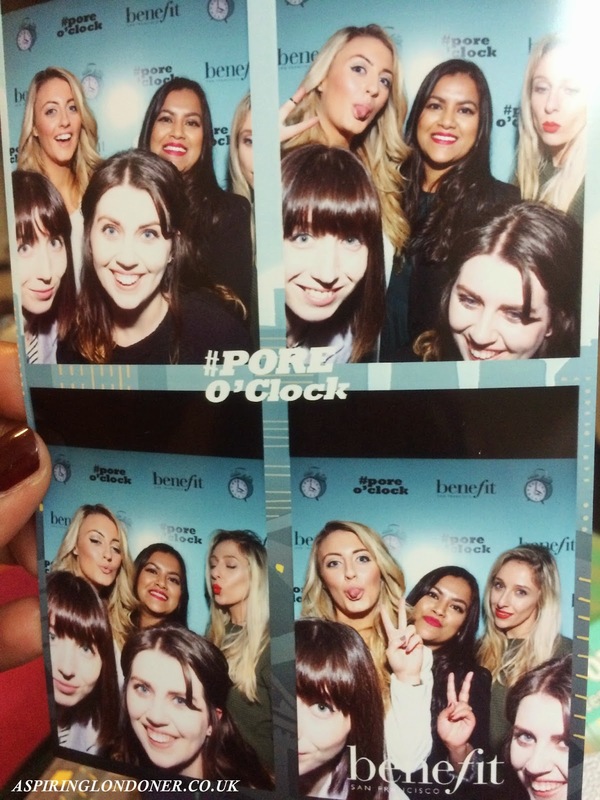 A couple of weeks ago I went along to Benefit Cosmetics’ #poreoclock party in Newcastle. 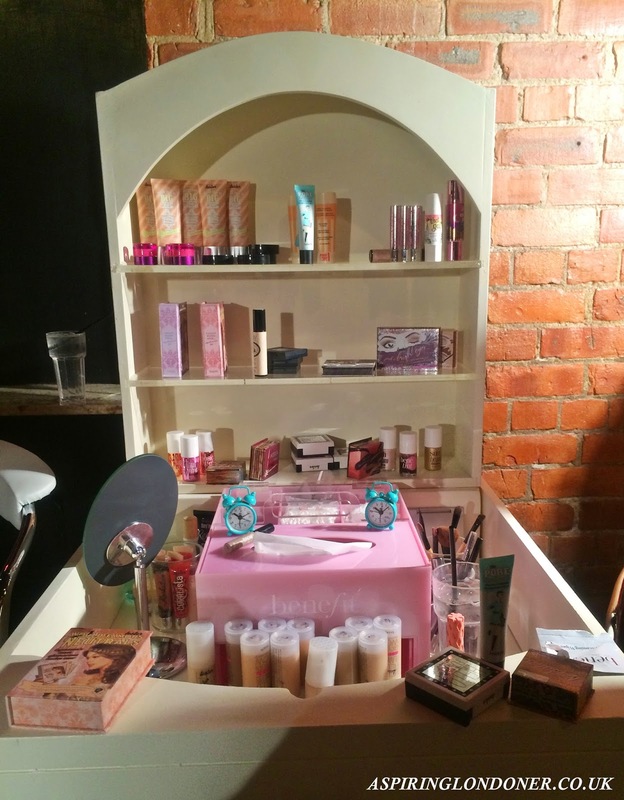 I was really excited as I love Benefit products and their unique marketing ideas and knew this party was going to be somethin’ special! As I got there, I could see there was a bit of a queue, I could see the party was going to be a hit as a huge amount of people had turned up. 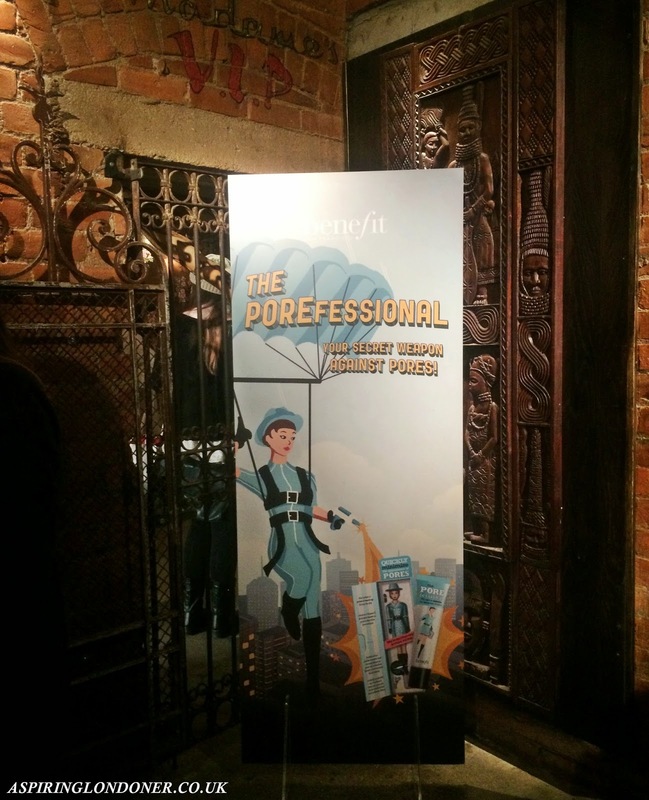 Upon entrance, I got a goodie bag and was taken downstairs where there were lovely food, drinks and lots happening! I met a couple of the other lovely bloggers from the North East. 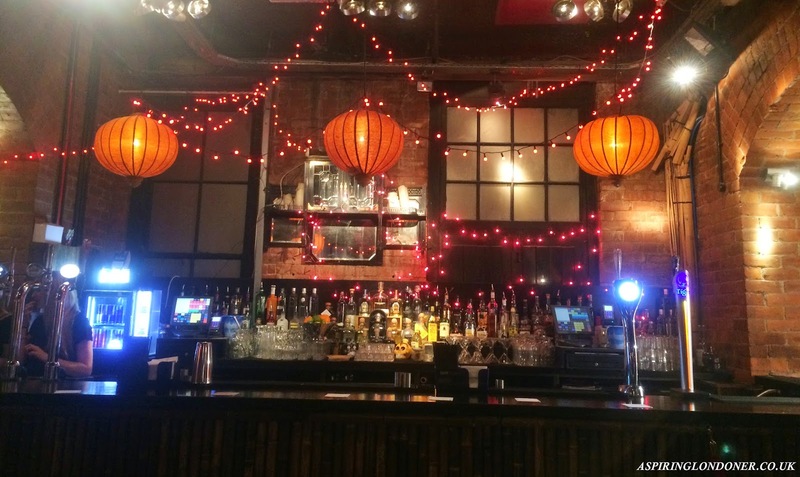 I think that was probably the highlight for me as living up North, we hardly have any events and it’s always nice to see other bloggers. There were makeovers happening and quite a queue for that too! I loved seeing how the products were being applied, I’m always awed by makeovers (#bbloggerproblems!). The highlight was probably the photobooth! We were trying to squeeze five people in one picture which probably wasn’t a good idea, and it’s safe to say don’t think any of us were ready for any of the pictures! We were just laughing too much! 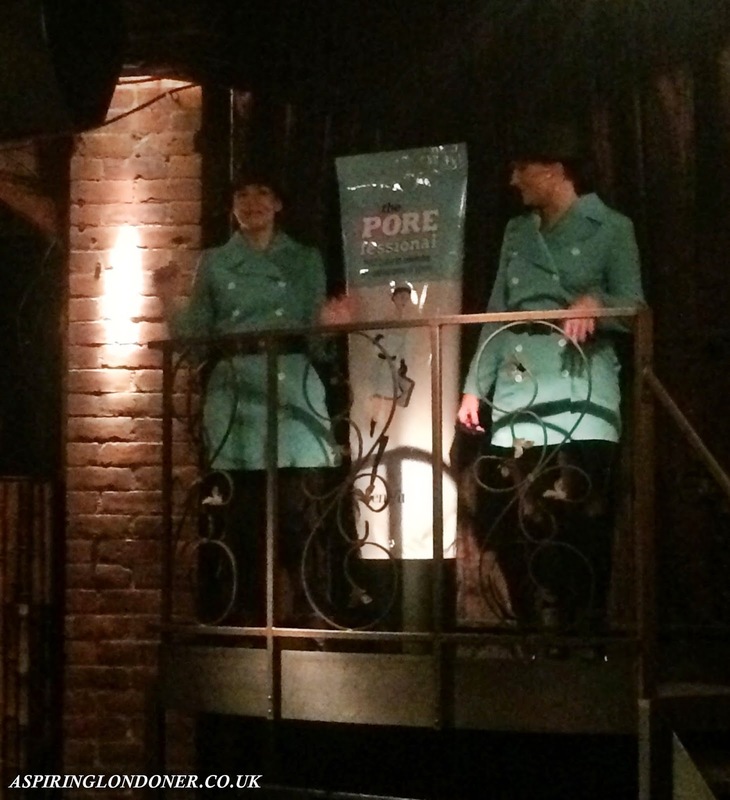 The one thing I was introduced to from the event was the Benefit Cosmetics Porefessional Agent Zero Shine Powder. I’m so glad I was! It’s an absolute gem for me as I struggle to keep oil at bay during the day. This really helps my t-zone to control oil and look less shiny through the day. The best thing about it is how portable it is. The brush in cleverly concealed at the bottom of the product and you can twist and lock the powder dispenser. This helps as there isn’t a mess when you open the product especially handy to keep in my handbag and that’s where it’s staying! Excellent product for anyone who needs to powder through the day. 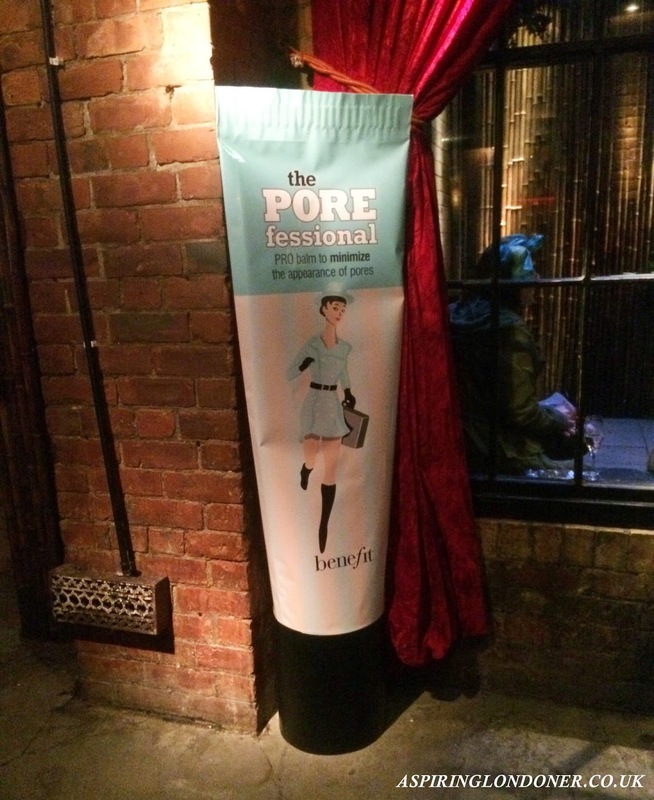 I had a lovely time at the party and hope Benefit Cosmetics will come back to Newcastle again!